I had to gear myself up mentally to do a load of laundry. I was 6 months pregnant in August in Southern California. The washing machine and dryer sat in the stuffy, hot detached garage, way in the back of the property. And, I had two small kids to either drag back there with me, or leave in the house while I frantically threw in a load before they climbed the bookshelves and fell to their deaths. Needless to say, doing the family laundry was a tedious chore. I had been overwhelmed by laundry when we lived on the east coast but I’d established a great routine for keeping all the clothes clean on a regular basis. Now, in this home in California, all that organization seemed to go out the window with the new setup. (And my new status as prego with two kiddos). 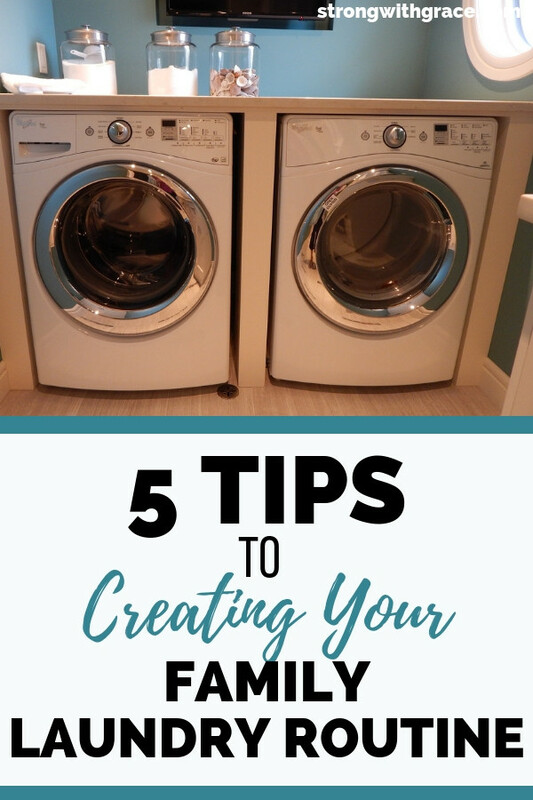 Today I’m sharing how to get a handle on your family laundry routine when doing the wash seems daunting. It’s important to nail down the logistics of your situation. My family laundry routine looks different now than it did in our last house with the laundry out back. Acutally, since originally starting my laundry routine, we have lived in 3 different houses. In the original home, the laundry was upstairs near the bedrooms. In the next two houses the machines were in the garage, and now (thankfully) our machines are in the center of our home by the kitchen. We’re about to move again in a month and will find out soon where the laundry room will be. It will be interesting to put together another new laundry schedule that works for us (and now my oldest can start helping me bwahaha). 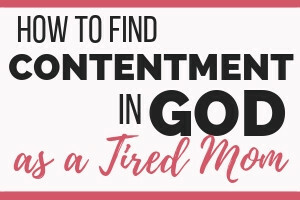 Every move or big change (like a new baby, new job) requires a re-assessment in order to find the best routine for that house and season of life. When do you NOT do it? 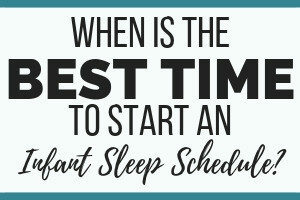 When are your ideal times to be putting in loads in and folding? How do you divide your loads? Options include cold, warm, hot, sheets/towels, delicates, workout clothes, etc. Once you assess your situation, choose a routine that works for you. Will you put a load in every morning, then change it over and fold it throughout the day as you have time? (That’s what I do). Will you do it all on the weekends? Or after the kids go to bed? If you just do whatever load seems necessary at the time, you might run short on certain types of laundry. I used to just wait until the laundry basket filled up, then do a warm load and maybe a cold load next. The other specialty loads didn’t have any regular day so I often ran out of workout clothes and the sheets and towels piled up. Friday: Any other special items that needed occasional washing like bibs, stuffed animals, clothing with special washing instructions. 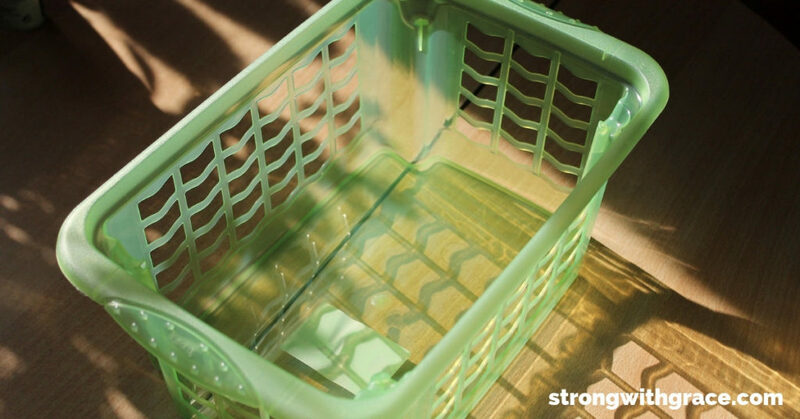 You may have room in your laundry room for separate baskets, and that’s great. I don’t, as my current laundry room is basically a closet. Whether you have an actual household laundry “room” or not, I suggest also having collection baskets in the rooms where the clothes come off. If you have young kids, this is key because it’s much harder to train kids to put clothes in the laundry bin if they have to go halfway across the house to do it. Do you like your current laundry detergent? Or do you want to switch to something cheaper? More health-conscious? Something that has a different smell? Consider utilizing add-ins like dryer balls for fluffy laundry, aluminum balls instead of dryer sheets and looking at companies like Grove Collaborative (LINK) for healthy inexpensive cleaning products. Try your newly created routine for a few weeks and see how you like it. If something isn’t working, tweak it and change it until you have a family laundry routine that you love! I survived two more months in that house with the laundry out back (lots of laundry during naps and after the kids went to bed), then we moved into our current house. Shortly after that I had a new baby via c-section and my husband deployed. So, my routines took a dive and I never really established a solid laundry routine in the new spot. I stayed on top of it for the most part, but we have three kids and LOTS of clothes to wash, so our routine could be tightened up a bit. Writing this post is a good chance for me to think about the laundry situation for the new house too. I’m going to try to establish a workable routine from the get-go so I don’t have to gear up mentally and give myself a pep talk every time I need to do a load. lol. *this post may contain affiliate links. That means I get a portion of the commission for the referral, but you don’t pay a cent more– thank you for supporting my small business!